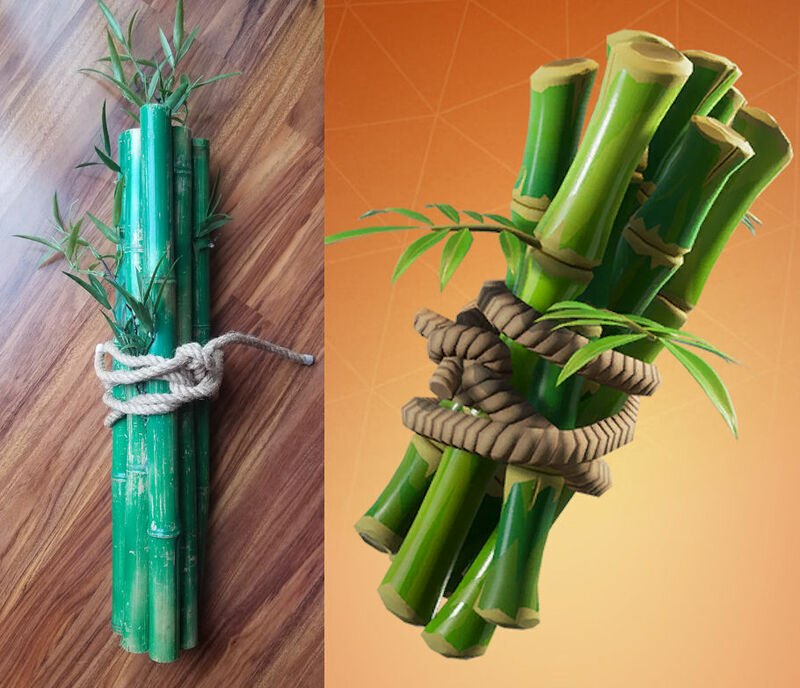 So, my attempt a making “Bamboo Back Bling” for Easton’s Halloween costume didn’t quite go as planned (I’ve attached the inspiration picture so you can see what we were going for)… I honestly thought this would be a piece of cake, but of course nothing ever quite goes as planned. The first issue was cutting. I totally thought I could quickly hacksaw each piece myself. Apparently, we don’t own a hacksaw…. so Bret had to use a circular saw to cut it all (I did try a hand saw first which really did nothing but make me feel like I might lose a finger!). Next came painting – it just was too green! So I wound up distressing it some (which looks better in person than on the photo). The came the issue of attaching everything together. Initially, I thought that I could just glue it all together, but never took into consideration that all the pieces wouldn’t lay evenly together (the rods aren’t perfectly straight plus you have the intermittent nodules)… so we had to place screws inside the ends of the rods to keep them together. Adding the rope and fake greenery? That was totally easy. We still have to attach the straps so they can be worn, but thankfully the hardest (let’s hope) part is over. The full costume reveal will be on Friday! This entry was posted in Uncategorized on October 30, 2018 by stacy. Not only is the end result adorable, but the name alone makes me want to try this out: Sweatshirt Liposuction. This black cat Trick-or-Treat bag is easy to make and too cute to carry! If you’re starting your holiday sewing, you’ll definitely want to check out this photo pillow tutorial. They’re great for gifting! Learn how to create candy corn blocks to make a pretty holiday quilt. Want something that can last all fall, instead? Check out this Patchy Pumpkin quilt instead. 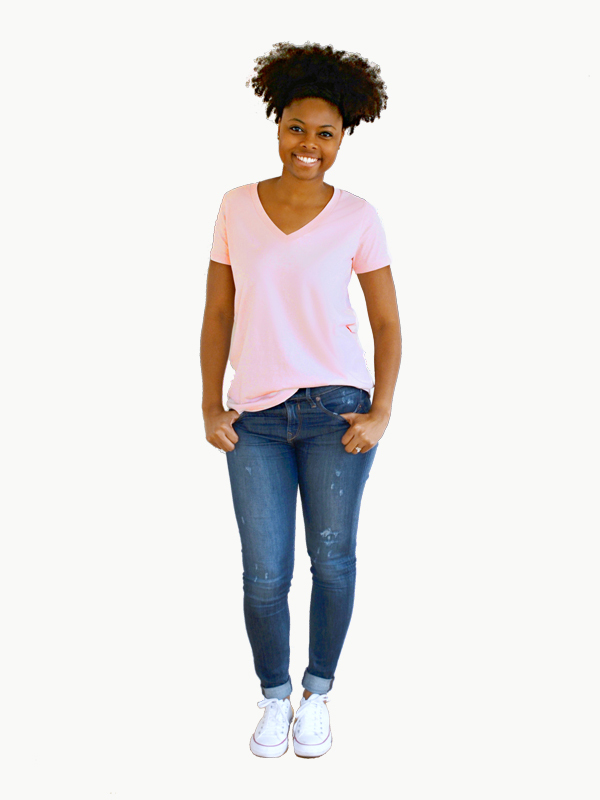 Learn how to sew a sweatshirt with this free pattern\tutrorial (the pattern is sized for a 36-38″ chest so you’ll have to size up or down accordingly). 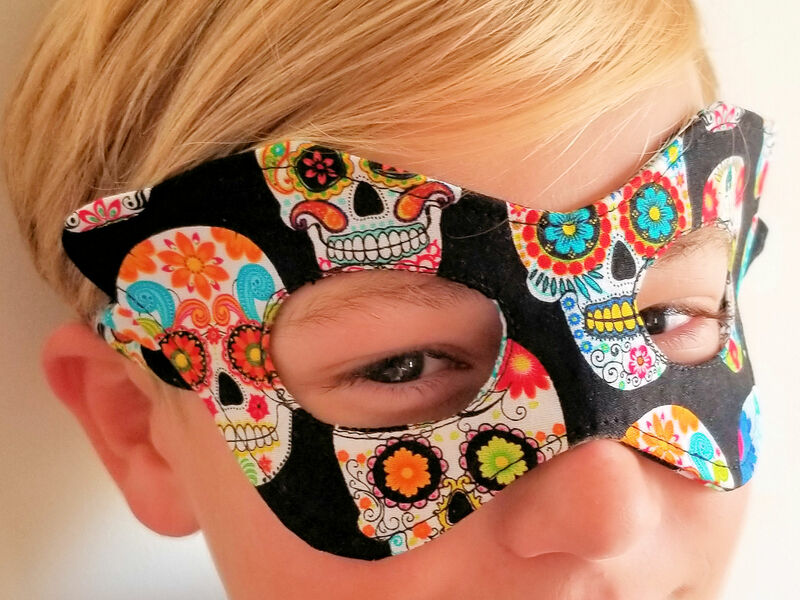 Felt accessories are great for dress up trunks or Halloween costumes. Check out these Felt Sheriff Badge & Buckle and Batarang tutorials. This fidget quilt (designed for those with dementia and autism) is absolutely brilliant. Whip yourself a new apron, just in time for holiday baking\cooking. Enter to win a Lecien bundle of fabrics. While you’re visiting the site, be sure to check out here Cute Corners Cosmetic bag tutorial. Shaped purses are always attention grabbers – like this fun, lip-shaped version. These fruity cross-body bags are equally adorable, but require the Cricut Maker. Can’t dress up, but still want to show your Halloween spirit? Check out this tutorial for an easy bat bowtie. This entry was posted in Uncategorized on October 25, 2018 by stacy. With Halloween only a week away, I figured I had better get started on Easton’s Halloween costume. This is where I’m at today…. all I have left is the elastic around the wrists and ankles. I wound up making a few alterations to this pattern: First off, the belly is way too small for what I needed. I wound up extending this so that if falls about 6″ above the crotch line (I also eliminated the “dip” on the top edge so that it is rounded and not heart shaped). Secondly, I took in the costume almost 1″ on all the seams. It’s a very “roomy” costume, but he was wanting something more fitted like his Fortnite skin inspiration (you can see the photo of what he is after in this post). Today it’s work on the bamboo back bling part of his costume. I think I have it figured out as to how it should be constructed so I think I’m ready to get started! This entry was posted in Uncategorized on October 24, 2018 by stacy. This week I’m working hard to finish a few upcoming deadlines. One of them is a rather large project for Creative Machine Embroidery. When I say large, I mean that there are quite a few hours of machine embroidery involved (roughly 9) so there’s no room for error as I really don’t want to have to start over (again)! 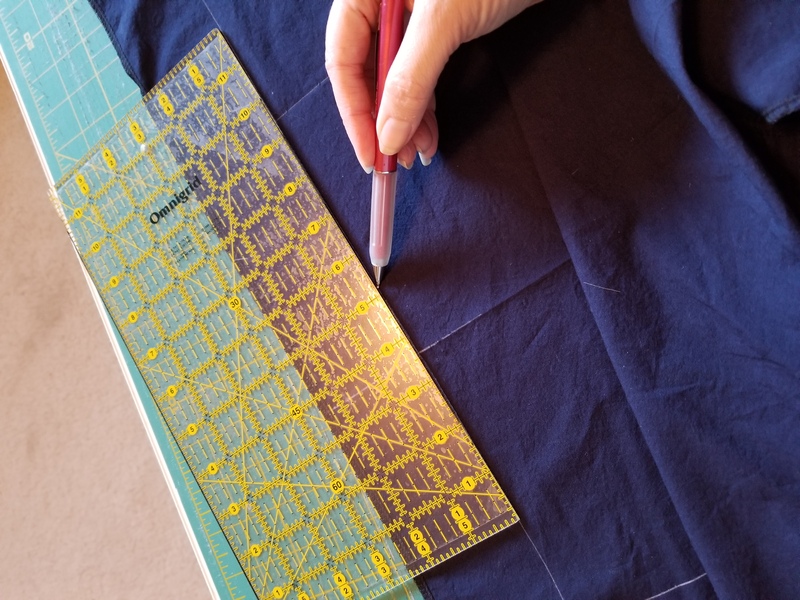 With this project (although this probably stands for almost any embroidery placement), precision is key so I’m double checking my work, and giving my quilting rulers a good work out. What is everyone else working on this week? This entry was posted in Uncategorized on October 23, 2018 by stacy. 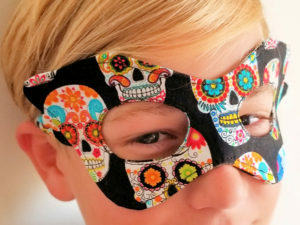 Don’t miss my Halloween Mask tutorial over at Bernina’s WeAllSew this week! Need more quick costume ideas? This witch hat and caplet are designed to be paired together and this Vampire Cape is unisex (and even fits your favorite pooch). 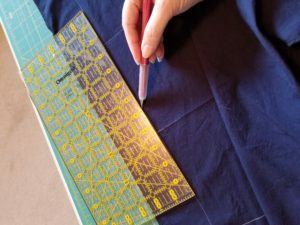 Enter to win a copy of EQ8 Quilt Design Software. If you have a Halloween tree, you’ll definitely want to whip up a few of these stenciled ornaments. I love this cool clutch pattern – what a great way to show off your favorite fabrics. Need a quick back? This hipster looks like a fast sew with cute results. Looking for something larger? This messenger is a great solution. There are 68 days until Christmas – so there’s still plenty of time to make those family pajamas. When I see cute crochet hat patterns like this, I always think I need to give this hobby a try. And wouldn’t this cowl be a perfect match too? 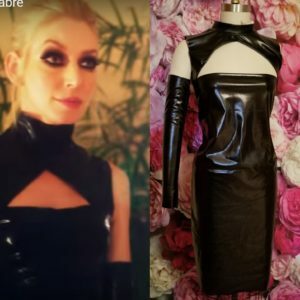 Running out of time to sew a full costume? This dragon uses a hoodie as a base. Halloween doesn’t have to be scary! Check out this fun Frankenstein fleece pillow (now try to say that sentences 5 times real fast!). This mug rug doubles as a gift card holder – what a great idea for teacher gifts! This entry was posted in Uncategorized on October 18, 2018 by stacy. Are you ready for another easy Halloween accessory tutorial? Today on Bernina’s WeAllSew you can check out my latest project: The Halloween Mask! This tutorial helps you create a fabric mask that can be fully reversible and has (self-fabric) Velcro straps. The best part? It’s made with cotton material so the options are endless as to what you can make this in! Plus it fits almost everyone, even the dog. This entry was posted in Uncategorized on October 16, 2018 by stacy. Halloween is just a few weeks away… which means it’s crunch time in sewing up a costume for Easton. This year he has decided on Fortnite’s Panda Team Leader. 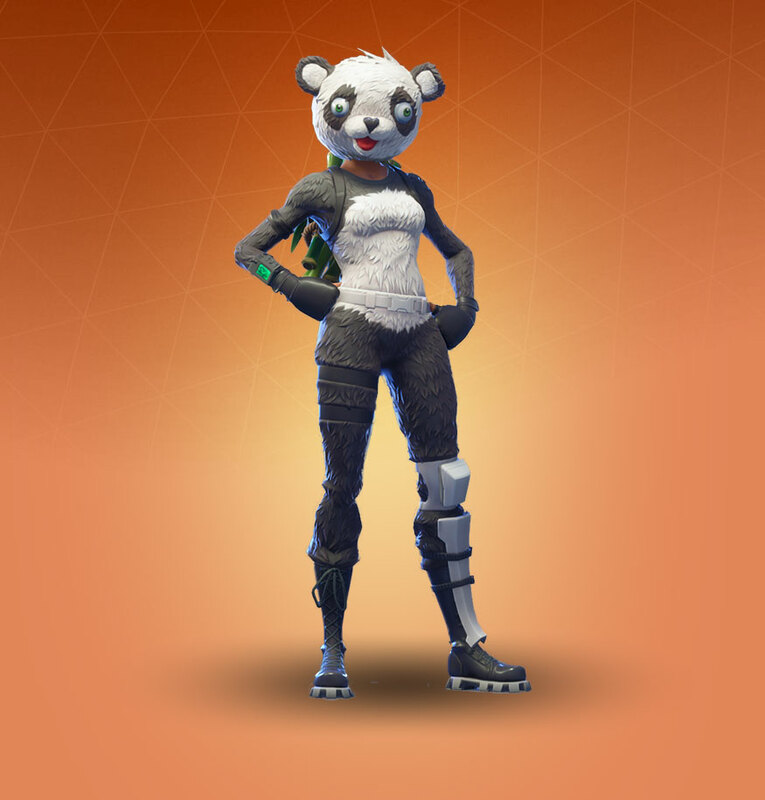 Easton has always been one for “authenticity” in his costumes (he will make a great cosplayer some day), so he is wanting “leg armor” and “bamboo back bling” to make his outfit complete. The first obstacle was finding a “full” panda head he could wear (this was one of his requirements)…. because I’m not even attempting to make that myself. Fortunately, I found one (and cheap too) at Walmart. Believe it or not, my next issue was finding fabric. Why is short, black fur so hard to find? I searched all over and finally settled on some Velboa plush from Fabric Emprie’s Etsy shop. The upside with this is that it doesn’t shed like a “regular” fur and has a soft backing so it’s not uncomfortable to wear. Lastly, there’s the pattern: I opted for Simplicity 2855 – it’s the closest I could get to the actual design without trying to heavily modify a onesie pattern myself (I do plan on taking in the final design to get a slimmer look, but this fabric doesn’t stretch so we’ll see how comfortable that winds up being). As for the back bling, we’re winging it. I found natural bamboo at the store and plan on having it cut down and spray painting it green to give it a similar vibe. *Props includes the cost of back bling materials and a giant foam pick axe. This entry was posted in Uncategorized on October 12, 2018 by stacy.